Small - $39.99 Only 4 left! Medium - $29.99 Large - $39.99 Only 5 left! X-Large - $39.99 Only 9 left! So, your child wants to become a Spartan? First off, congratulations you've raised some tough stuff. You know it won't be easy to become an elite alien fighter. He's going to have to start training pretty hard. Even when he's ready, you might have a hard to time finding a doctor to perform an augmentation to enhance his speed and strength. But don't squash his dreams quite yet, someone has to protect the human race from aliens. With our muscle chest set your child won't have to go through the dangerous augmentation surgery. 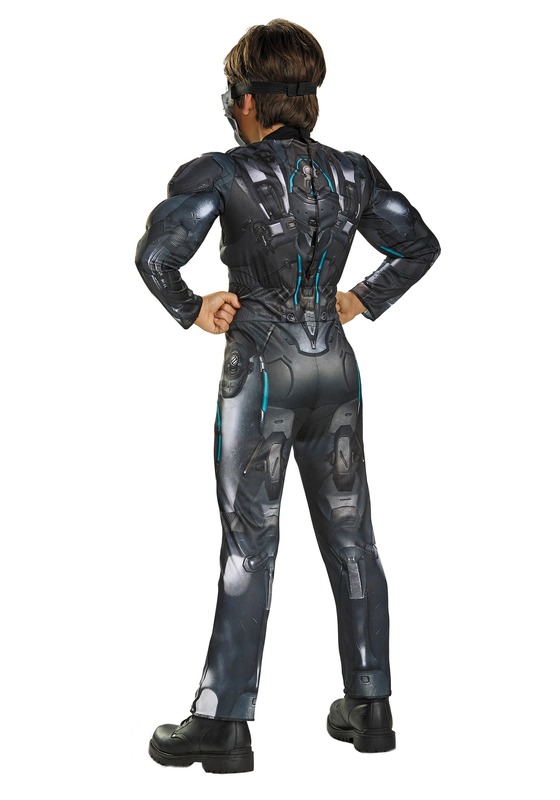 He'll look just as prepared for battle as the super soldier Locke in this muscle-bound Spartan costume. Your kid will feel pretty powerful as he steps into Jameson Locke's shoes. Well, not his shoes literally, this costume doesn't include shoes. Let's just say, your child will feel powerful when he steps into Locke's abs. Better? You never know what qualities he's going to pick up from wearing the Spartan uniform. Will he become a great leader and diplomat, like Locke? There's a chance he might acquire a surprising amount of courage. He will definitely develop an intense desire to save mankind. Becoming a super soldier makes people strong in ways that are hard to predict. 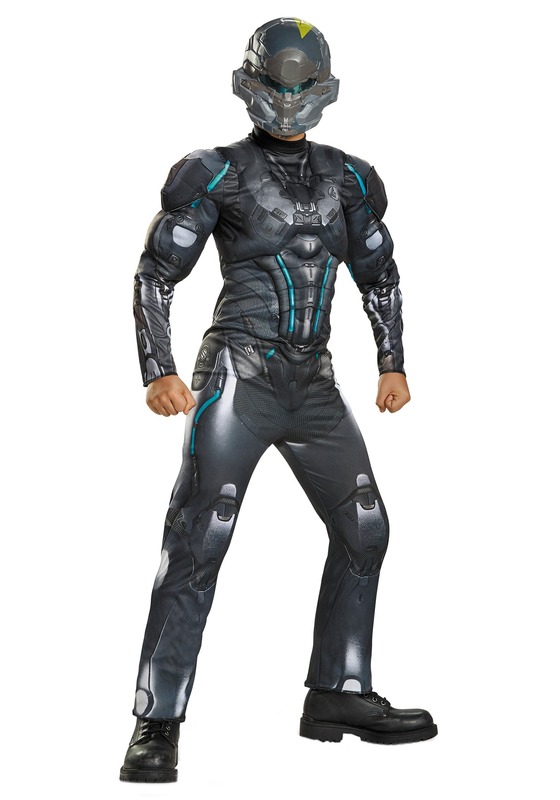 Next time you're playing Halo if your child says that he wants to become a Spartan soldier have him try on the uniform before you enroll him in the nearest boot camp. Remember that old adage: dress for the job you want.